NOTE: This product is a version, a variant or a module of the main VideoIPath product. For further information about this product, visit the main product page. VideoIPath provides inventory, backup, restore and software upgrade capabilities for efficient management of network resources. The system keeps an inventory of all detected networks resources, enabling users to browse or search for particular resources. 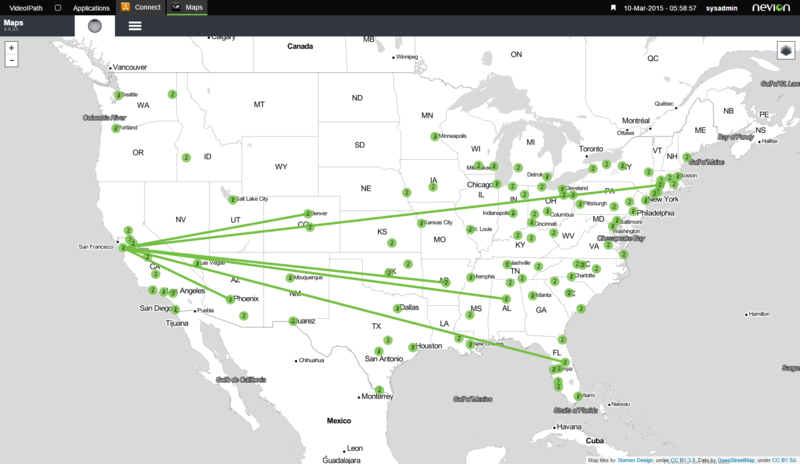 The system supports auto-detection of available nodes and endpoints within the managed infrastructure. VideoIPath also centralizes and simplifies upgrades, making it possible to plan, schedule and upgrade multiple network elements at one time, for coordinated rollout of new firmware releases in the network. Operators can monitor the software upgrade process from a central console without any manual intervention at the network element level. 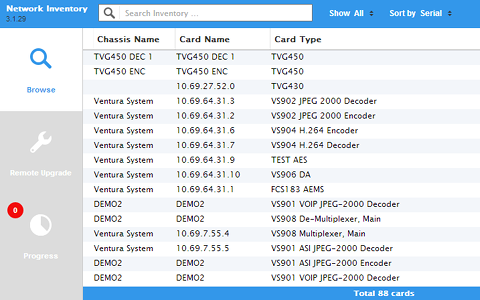 The inventory is fully searchable by the operator based on any field present in the inventory, device name, type, serial number, version, etc. All devices detected by the system are tracked based on serial number. Users may retrieve the history of a device, which includes any relocation or firmware upgrades performed on the device. The inventory also supports virtualization of media functions by allowing the operator to change the functional or operational mode of a device, e.g. 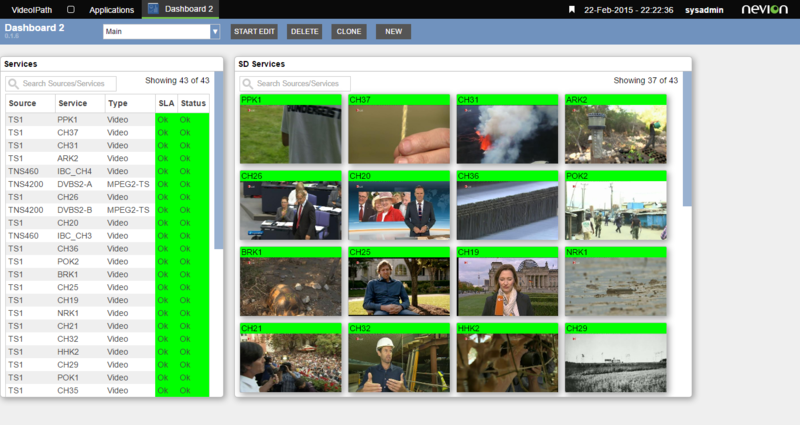 by changing from encoder to decoder or the type of codec used (JPEG2000 or linear).